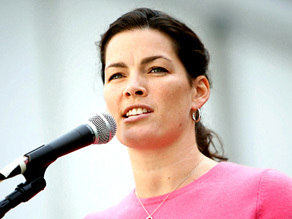 An attorney representing Nancy Kerrigan's family is speaking out to ET after Thursday's news that the skating star's brother Mark Kerrigan has been indicted on manslaughter charges in the death of their father Daniel. "We are deeply disappointed at the continued prosecution of Mark Kerrigan," attorney Tracy Miner tells ET on behalf of the family. "We disagree with the decision to indict and look forward to the facts being considered by an impartial jury. The Kerrigan family continues to believe that he is not responsible for the death of their beloved Daniel Kerrigan. Mark Kerrigan has been living at home supporting and caring for his mother and is in complete compliance with all conditions of his pre-trial release and we see no reason that the situation should change." Initially charged with assault, Mark Kerrigan is facing upgraded charges of manslaughter and assault and battery charges after his and Nancy's father Daniel died following an alleged altercation last January. He will be arraigned Friday morning, April 9, in the Woburn Superior Court. Michael Vick – Doggie Killer... SHOULD not be alowed to return to the NFL AFL or any other organizaton that pays him!.. He has no heart ni soul and I do not believe he is healed! How cold anyone hurt inncent little doggies, he is a broken man inside and it is SICK that the AFL and NFL organizations do not hold higer standards for their team players shame on them!! Another awful story. So sad to hear.